Over the last years, a profusion of new versions of arc welding processes has overwhelmed the international welding scenario in the industry and academia. Innovations have been made possible not only by means of electronics and software developments but also through new concepts in mechanical design and mechanisms. With respect to the tungsten inert gas (TIG) process, low productivity is often a disadvantage, when compared to other arc welding processes. In order to manage this drawback, as well as to better deal with hard wetting materials (Ni-Cr alloys for example), a forward and backward wire oscillation movement has been implemented in TIG systems and finds good acceptability in the industry. However, dedicated wire feed measuring systems for this new operating regime are not available, which limits the process monitoring as a whole and hinders phenomena understanding and parametrization stage. 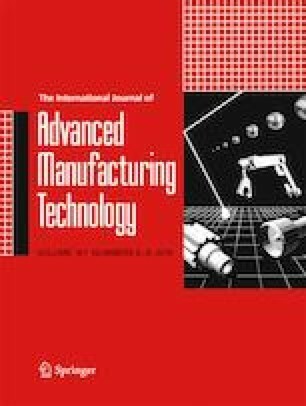 The present paper thus addresses the development of a measuring methodology combined with a transducer, based on an optical encoder, for acquisition of instantaneous angular speed (IAS). The study covers analysis of the performance of previous instrumentation (found unsuitable), description of the dedicated system, and verification methodologies. Results lead to the validation of the system. Therefore, valuable information can now be extracted to provide feedback for this welding process version and avoid instabilities. The online version of this article ( https://doi.org/10.1007/s00170-018-3026-2) contains supplementary material, which is available to authorized users. The authors thanks Welding and Mechantronics Institute (LABSOLDA) staff for the technical support. This work received financial support from CNPq.